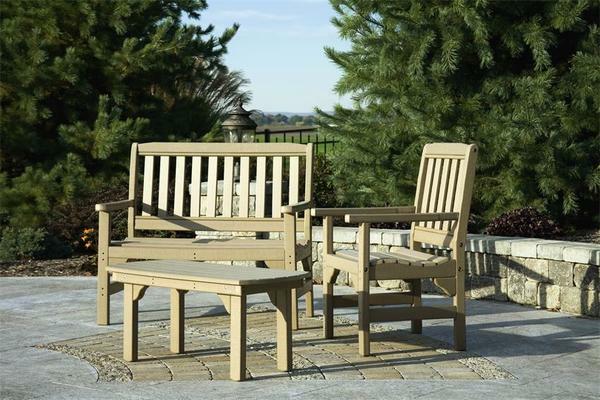 Included in this Amish poly patio furniture set is one outdoor bench, two English Garden chairs and one rectangular coffee table. Order this furniture set online or call one of our Amish furniture specialists with questions at 1-866-272-6773. This product ships within 2-4 weeks of purchase.